For almost a year now, two constituents of Rory Stewart MP have been asking him to explain his attendance at the 2011 Bilderberg Conference. 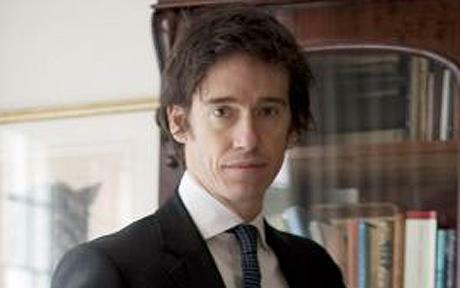 Rory Stewart claims that he attended Bilderberg in a private capacity, and not in his role as an MP, but of course he would never have been invited to Bilderberg in the first place were he not an MP. Several letters, emails and a visit to his surgery have only engendered the response "I am entitled to a private life". His constituents, on the other hand, argue that yes, he is entitled to a private life, but he is not entitled to a private political life. This audio clip is a recording from a Parish Council meeting held in Mr Stewart's constituency in Cumbria earlier this year. The physical response clearly demonstrates that he is under some stress as a result of the questioning. We wonder why?